Welcome to the World of Video SEO 2007. 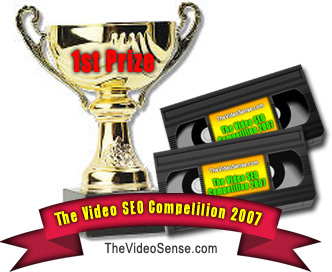 The First "Video" SEO Competition on the Internet. An excellent opportunity for beginners through to SEO experts to learn how to rank well and gain traffic from online videos. Don’t know how to rank well for videos in video.google.com? Well you’d better join this Video SEO Competition and learn. Video is the way of the future on the internet. You can create your own video, or upload any video that suits Video.Googles and TheVideoSense.com Terms and Conditions. Its That simple. 1. $2000 via Paypal.com to the competitor ranked highest for the term "my funny video" at the closing date of 30/04/07 12pm Australian EST. Plus 6000 PLR Articles from www.articleandcontentsolutions.com over 12 months. 2. $500 to the person who referred the winner of this competition. 3. An additional $500 to the Winner if their www.thevideosense.com video page is ranking higher in web search engine google.com for the term "my funny video" than their video.google.com video entry. www.articleandcontentsolutions.com is giving 1 copy of every PLR pack we produce this year ..that could be about 6000 articles. he’ll put it to use for you, if you win. 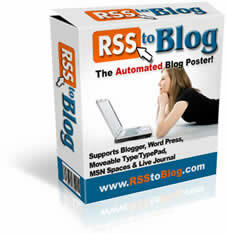 Michelle is Giving away her software ‘RSS to Blog’. of private, one to one consultation. partnership and consulting with multi-millionaires. is giving away his soon to be released software, Video Post Robot. and even future posting using the scheduling function. by raising the cash prize by another $450 to the winner. Starting Date: 1st Feb 2007. The competitor ranking the highest for the term " my funny video " at the closing date of 30/04/07 will be the winner. Please check the Video SEO Competition forum for all news and details. Video must be submitted to your TheVideoSense.com Account. The Competitors TheVideoSense.com Members URL must be in the first line of the description for the entry to be valid. Tip: Once you have registered, let as many people you know about the competition and have a 2nd chance to win the $500 for referring another competitor. For all Further Information please register at http://community.thevideosense.com and ask your question in the Video SEO Competition Forum.